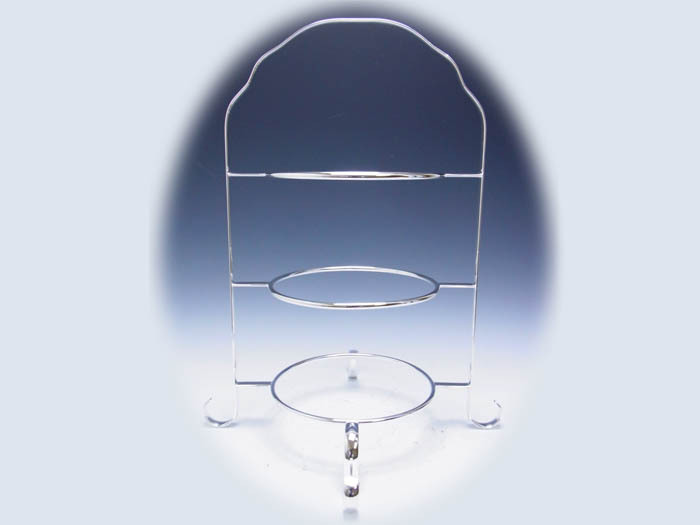 It is a three-step cake stand made from a silver plate. For a simple design, it is easy to coordinate. Handmade of Tsubame ,famous for a Japanese kitchen knife and kitchen tool. 18~23cm plate can be used. 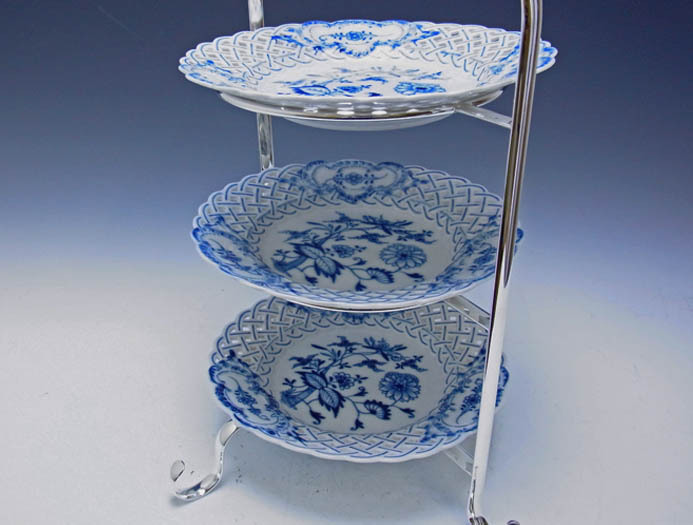 The plate of Meissen( 21 cm of blue onion) is placed in this picture. Although it is antiquely scrupulous and I am also selecting silver carefully at our shop, since only a three-step tray requires weight, it is recommendation that the thing of a silver plate (it is silver to brass) is stronger, and it is easier to use it than soft sterling silver. This price does not include a delivery charge. We will confirm those costs and contact you separately.